This half -term we will be looking at the topic of 'Dinosaurs'. 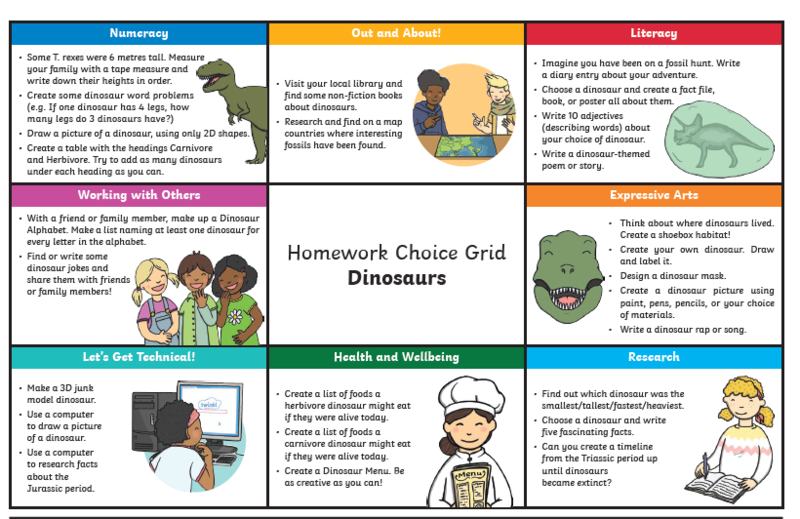 We will be learning all about the origin of dinosaurs, what their diet was, how they lived together as well as creating our own fact file about a dinosaur of our choice. The children will have lots of opportunities to extend their learning through play accessing lots of outdoor provisions. We have our very own class cake sale this half-term on the 14th of March as well as Red Nose Day and Gosfields Got Talent on the 15th of March. We will be kindly asking parents to donate or bake cakes to sell if at all possible. World Book Day will be happening on the 7th of March with the theme of 'Heroes and Villains' this year. We look forward to all the exciting fun and adventures that this half-term will bring on our run up to Easter. PE will take place on a Tuesday morning with Mr.Chuck and Wednesday afternoon for dance with Amy. Homework will be related to current learning in all areas of the curriculum and will be reviewed as a whole class every Wednesday. Please ensure that your child asks for help with their homework whenever they require, this is a fantastic opportunity for them to show their own interests in our topic. Homework books will go home on a Friday. Spellings will be handed out on a Monday and tested on a Friday for Year 1 children. Reading books need to be read and recorded in the reading record diary each night. Flash cards and spellings should be practiced on a daily basis.